When your team is led by Head Coach Bill Belichick and Quarterback Tom Brady, it's difficult not to get your hopes up for a national championship win. In fact, the first national title Brady won was his first year in the league in 2001. Who did they defeat? None other than the Rams, although they were housed out of St. Louis at the time. 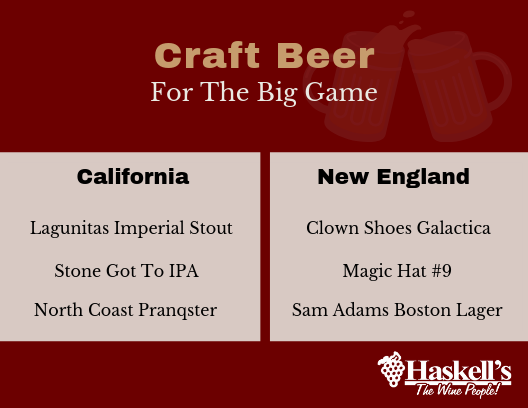 Looking to celebrate The Big Game like a true Patriots fan? Try this team-themed cocktail. 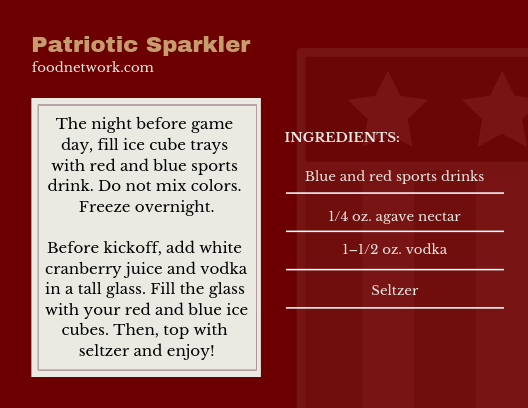 Not only does a Patriotic Sparkler taste delicious, but it looks fun, too! The night before game day, fill ice cube trays with red and blue sports drink. Do not mix colors. Freeze overnight. Before kickoff, add white cranberry juice and vodka in a tall glass. Fill the glass with your red and blue ice cubes. Then, top with seltzer and enjoy! Not a fan of mixed drinks? Try these craft beers from the New England area. Magic Hat #9 – A crisp and refreshing beer from South Burlington, Vermont. Clown Shoes Galactica – A dry hopped IPA with a malty backbone from Ipswich, Massachusetts. Sam Adams Boston Lager – A full-flavored brew from Boston, Massachusetts. Of course, game day isn't complete without food! So, why not pick your favorite style lobster roll — Maine Lobster Roll or Connecticut Lobster Roll — and wow your party guests. And yes, there's a difference. If you told a Rams fan in 2016 that their team would go 8-0 to start the 2018 season and win their ticket to the national championship, they likely would have laughed or cried. But that's exactly what they did under the helm of Head Coach Sean McVay, who was hired in 2017 at age 30. Want to celebrate like a true Rams fan? Try these drinks. 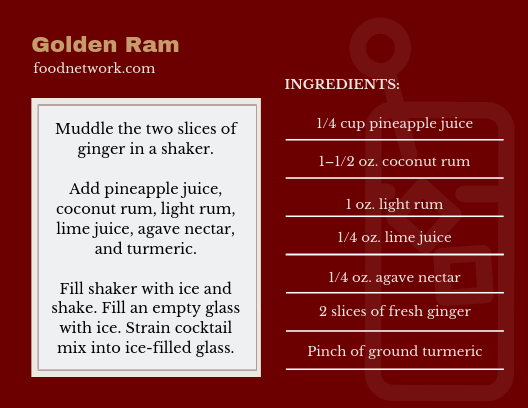 Get behind the Rams with this delicious cocktail, Golden Horn. Muddle the two slices of ginger in a shaker. Add pineapple juice, coconut rum, light rum, lime juice, agave nectar, and turmeric. Fill shaker with ice and shake. Fill an empty glass with ice. Strain cocktail mix into ice-filled glass. More of a beer person? Try these craft beers from California. Lagunitas Imperial Stout – A dark and thick beer that's rich and smoky. Stone Got To IPA – An IPA with notes of fruit and pine. North Coast Pranqster – A Belgian golden ale with a floral aroma and fruity taste. Don't forget some food to snack on like French-Dipped Sandwiches, which apparently originated in Los Angeles, although it's exact origin is up for debate. Just remember, the NFL Championship is more than a game, it's an American pastime we're lucky to share with close family and friends. 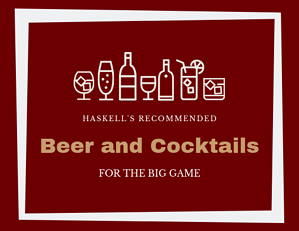 So, regardless of which team they root for, make sure you provide the food and drinks that help your loved ones' celebrate on the big day! P.S. Don't forget to watch the commercials. We all know they can be better than the actual game (sometimes).